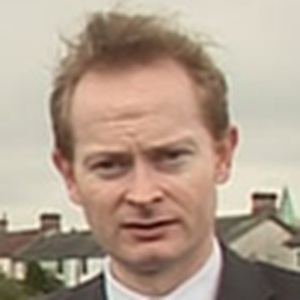 John Walsh was the Conservative and Unionist Party candidate in Member of Parliament for Middlesbrough in the 2010 General Election. Our volunteers have been adding information on John Walsh - here's everything we know so far! If you think you know how a General Election is run by watching mainstream media or a shiny floored leader’s debate, then think again. When Labour voter and award winning filmmaker, John Walsh switched sides and became a Conservative candidate he lifted the lid on the real-life world of political campaigning. With unprecedented access and never-before-seen footage of a candidate’s campaign from the inside. This acclaimed film received award nominations and great reviews from across the political spectrum when it hit cinemas. Now you can get the chance to download ToryBoy The Movie via Vimeo and see what happened next in the short film ToryBoy The AfterMath. This film contains strong language throughout and scenes of politicians that some viewers may find offensive. This statement was added by John Walsh, their team, or by a Democracy Club volunteer, based on information published by the candidate elsewhere. ToryBoy The Movie is a 2011 gonzo-style British documentary feature film directed by and starring John Walsh. It follows Walsh as he becomes a political candidate for the Conservative Party in the north east England constituency of Middlesbrough. If you can add information that should be on this page - such as John Walsh's CV please use our crowdsourcing website to add it.